KHL.ru continues its team-by-team review of the tenth season of the KHL Championship with a look back at the improving fortunes of Traktor Chelyabinsk. While most could have foreseen – and indeed, many openly predicted – that SKA, CSKA and Ak Bars would reach their respective Conference finals, Traktor was the unexpected guest at the party. Despite the city of Chelyabinsk's illustrious hockey history, when homegrown coaching hero Anvar Gatiyatulin guided the team all the way to the semi-finals of the 2017-18 knockout stage, it was the first time Traktor had been driven that far for five years, since the days of Valery Belousov. Traktor found it very hard to get out of first gear as it embarked on its journey through the regular championship. In the first month alone, the Chelyabinsk collective played 13 games and contrived to lose nine of them. The second half of September was worse than the first, and pessimists wondered aloud whether the stability achieved during the preseason, when the club managed to hold onto its leading players, was in fact just a recipe for stagnation, and that a restructuring would have been a wiser move. Scarcely a month into the campaign, some of the commentary vultures were already circling over the Traktor head coach. The response from Gatiyatulin, his staff, and his players was simple but effective – they pulled together, played better, and after a particularly gray patch of form which ended on the 24th of September, only twice did the Chelyabinsk men suffer two defeats in a row. By the time the end of the regular season was approaching – frequently a frantic and tense time for several clubs – the Traktor engine was humming, and the Chelyabinsk Men put together seven straight victories. In this purple patch, they allowed a miserly five goals in total, and only Avangard's notoriously impenetrable defense conceded fewer. Traktor had secured third place in the Conference standings, and a mere four points behind the eternal favorite, Ak Bars. The Foreign Legion made a significant contribution to the success in the “regularka”, with Paul Szczechura, Richard Gynge and newcomer Nick Bailen leading the scoring, while at the other end, Pavel Francouz was superb as the last line of defense. The Russians also played a huge role, naturally, with the highly experienced Maxim Yakutsenya in impressive form throughout, while second only to Szczechura in the top sniper rankings was Igor Polygalov, a summer signing from Neftekhimik. And it was the Nizhnekamsk team which faced Traktor in the first round of the knockout stage. Many considered Andrei Nazarov's men to be the favorites, and with some justification – the young coach had assembled a talented and determined collective, but they had no answer to an emerging teenage sensation. 18-year-old Vitaly Kravtsov scored four goals and the Chelyabinsk Men wrapped up the series in five games. The swift end to the Conference quarter-final was doubtless invaluable to Anvar Gatiyatulin's men in the next round, where they faced a Salavat Yulaev side which had emerged bruised but victorious after an epic series against Avangard. The Ufa Men nonetheless competed admirably during the semi-final, and even took a 3-2 series lead into Game 6, but they came up against a Traktor side which was firing on all cylinders, and received a 7-1 thrashing from which they could not recover. The men from the Urals shrugged off an early Ufa goal in Game 7, and scored twice to take the match and the series. And so, for the first time since 2013, this city in Russia's hockey heartland had a team among the medal places, a mere six months after many had written them off. There was to be no sensation in the Eastern Conference final – eventual champion Ak Bars was too strong in all four games - but the Chelyabinsk team and its passionate fans can look toward to the 11th KHL Championship with renewed confidence. 42-year-old Anvar Gatiyatulin was born in Chelyabinsk, played for Traktor, and started his coaching career by guiding his home town's stars of tomorrow at the Traktor hockey academy, then he himself graduated to become head coach of the club's Youth Hockey League side, Beliye Medvedi (“Polar Bears”) from which he joined the staff of the KHL team. 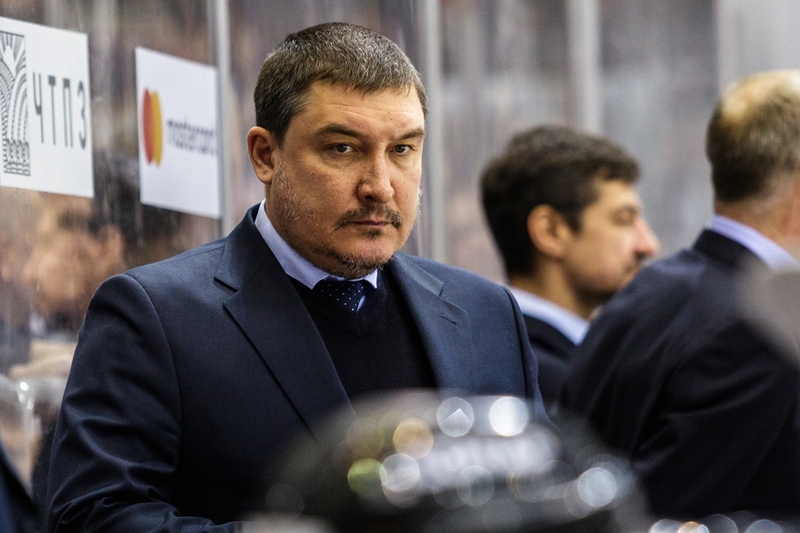 In 2015, he had a spell as interim head coach, but the tenth KHL Championship was his second season in full charge of the team. Under his leadership, Traktor now boasts one of the meanest defenses in the League, and Gatiyatulin's expertise was called upon by Team Russia for the current World Championships. Of his role next season, however, we await confirmation. Perhaps the best match, and certainly the most fondly remembered by the faithful fans, came during the thrilling Eastern Conference semi-final against a formidable and resurgent Salavat Yulaev. The Ufa Men had triumphed in Game 5 of the series, thereby surging into a 3-2 lead, and Traktor found itself facing a disappointingly early end to a promising season. With their backs to the wall, the Chelyabinsk Men emerged with all guns blazing and inflicted a resounding 7-1 defeat on the contenders from Bashkortostan. After a calm and scoreless first period, Traktor struck three times in the first half of Act Two, and even when a reeling Salavat Yulaev came back off the ropes to score on the half-hour mark, Gatiyatulin's men hit them with a two-minute, three-goal blitz to remove any doubt about the outcome. The fact that all seven goals were scored by different players bears eloquent testimony to the team spirit instilled in the team by the boss. 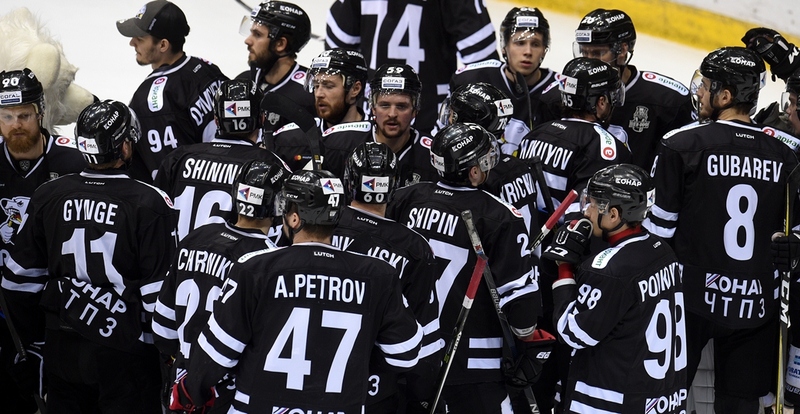 The Chelyabinsk men did not produce a single poor performance in th entire knockout stage of the Championship, and even though they suffered a 0-4 final series sweep at the hands of Ak Bars, they fought admirably in all four meetings. To find any contenders in this category, we have to take our minds back to the early days of the regular season, before winter had arrived. There was a 0-5 reverse against SKA in September and the following month there was an even more convincing defeat, 1-7, and it was against the men from Kazan. By the 17th minute, the hosts led 6-0 and the game was over as a contest. Later events in the playoffs were to prove, however, that this was a mere freak occurrence. There is only one contender for the revelation of the season title at Traktor. Vitaly Kravtsov only turned 18 in December, and while he was finding his feet in senior hockey over the course of the regular season, there was little hint of what was to come. He averaged less than 10 minutes of ice time, and and only sporadically posed a threat to the opposition, but when spring was on the way he sprung into life. In 16 playoff games Kravtsov scored 11 (6+5) points, the third-highest haul after Alexei Kruchinin and Alexander Sharov, and he was the KHL's Rookie of the Month for both March and April, and Rookie of the Round in the Conference quarters, semis, and final. He is still young, of course, and has a lot of hard work in front of him, but he has certainly announced his arrival in style. Unsurprisingly, during such an impressive season, only two players were shown the door – defenseman Kirill Koltsov, whose efficiency rating was hurtling toward “minus infinity”, and forward Gilbert Brule, who left the ice without points in six successive matches. The coaching staff seemed extremely content with the way the other players carried out their duties, and while Alexei Kruchinin had a surprisingly poor regular season, he more than made up for it with his sparkling form in the playoffs.